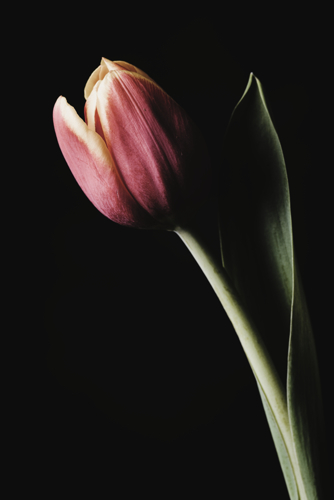 Color photograph of a tulip. Tones of red, yellow, and green. 13.5" x 9"19.5" x 13"25.5" x 17"31.5" x 21"35" x 23.25"